When I published blog post on product placement in the movie The Intern I stated that there were too many brands in the movie. At that time I haven’t had information that there was a product placement for a bicycle that main character Jules (Anne Hathaway) used for driving around the offices. First a few words about the movie: The Intern is about a 70-year-old widower Ben Whittaker (Robert De Niro) with a lot of spare time. Ben seizes the opportunity to become a senior intern at an online fashion website. Soon he becomes popular with his younger co-workers, including Jules Ostin, his boss and founder of the company. In my blog post I mentioned that producers should use self-balancing board instead of a bike. However, a while ago I realized that the bike that could be seen in the movie wasn’t just a random bike, but Brooklyn Bicycle co.’s bike called Franklin. 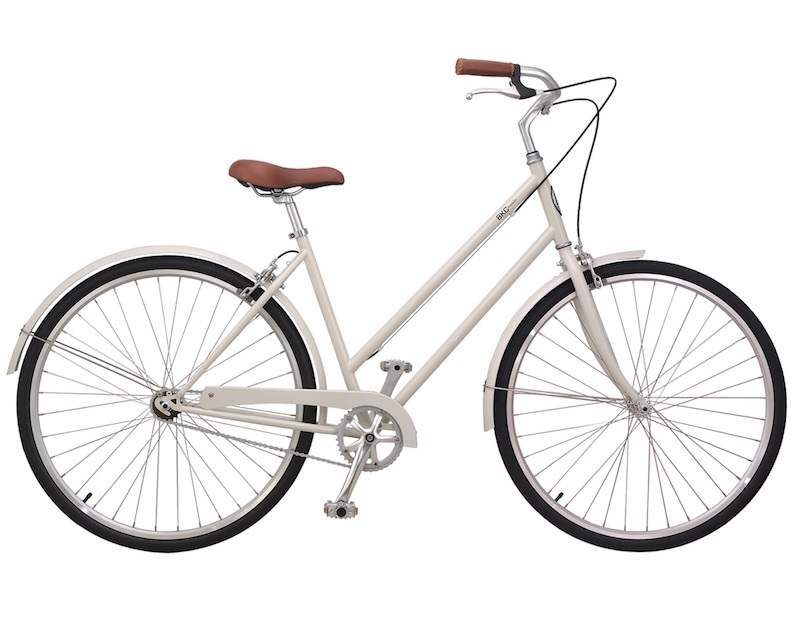 Brooklyn Bicycle co. is a bicycle manufacturing company based in Williamsburg, Brooklyn, New York. It was founded in 2011. Their bikes are named after streets the team drives daily. 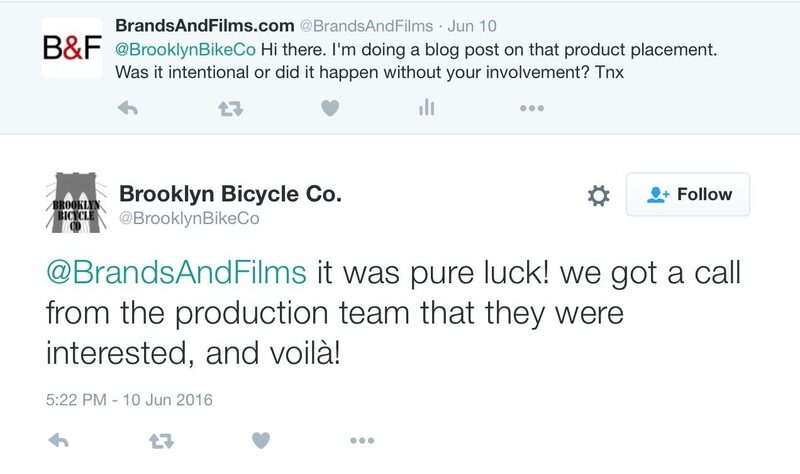 On Twitter I asked Brooklyn Bicycle co. if there was really product placement in The Intern and they confirmed. I also reached out to Brooklyn Bicycle Co. for some additional information. Emily Rose Prats, Director of Digital Marketing at Brooklyn Bicycle Co., shared some insights exclusively for Brands&Films. “As I’m sure you know, films take years to come to fruition, so The Intern team actually first reached out to us a while ago. Emily Rose Prats gave some additional information about promotion: “We promoted the movie a lot right when it came out, and their marketing team was very generous—liking our Tweets and Facebook posts, etc. You can check Franklin and other city bikes at Brooklyn Bicycle’s website. To learn more about marketing in movie and TV business check The Academy of Art University and its programs. This blog post is sponsored and was made in cooperation with The Academy of Art University.